Today May 15th, 2017 we are doing a charity event at Joe DiMaggio’s Hospital for a kids special needs event. Looking forward to seeing these kiddos at 3pm. Superman is arriving at 1005 Joe DiMaggio’s Drive Hollywood, Fl. 33021. It will be a special day for the kids, our company and the hospital staff as well. 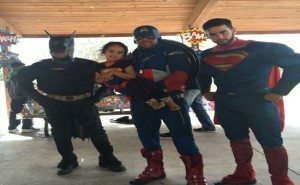 We are very grateful at team Miami Superhero to be able to have the opportunity to entertain these children in the hospital. There are many conditions these kids have and we are here to help the healing process. Looking forward to seeing all of them later and superman said he cant wait.